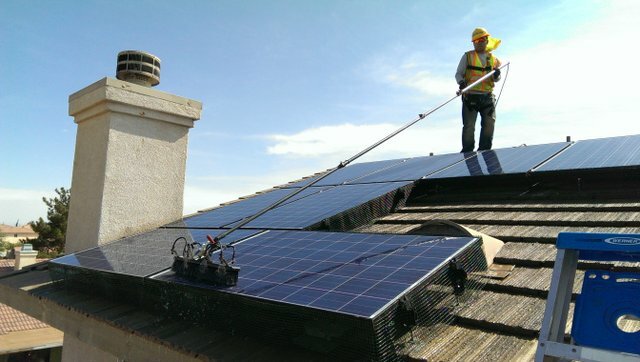 Solar Maid is the industry leader in solar pest abatement. Whether residential or commercial, Solar Maid has the solution to solve your pest problem. Solar Maid Pest Stop® for bird and squirrel abatement is our most popular residential solution, and comes with up to a 10 year guarantee. Solar Maid removes pests, cleans out all the debris, installs Pest Stop, and then washes your entire system and affected roof area, so your system will look new again. All Solar Maid Pest Stop Kits are custom cut to the exact size of your system, so you don’t have to buy more than what you need. Kits can be purchased without install service for the DIY’ers. 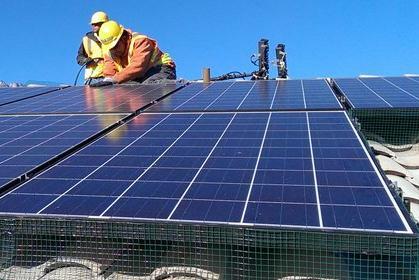 Commercial systems require a consultation, call Solar Maid today to discuss your options. Solar Maid is also the industry leader for snow abatement for both residential and commercial systems. Snow and ice falls from solar systems can be a huge safety and liability issue, so protect your home, business, and the public from potential harm by installing a Solar Maid Snow Stop®. Snow Stop systems are custom manufactured to be a perfect fit for your system, providing years of protection and peace of mind. Commercial and Govt. Asset Managers with carport systems in public areas need to limit liability and Snow Stop is the perfect solution. Once you have completed this form, be sure to submit your site plans to receive an accurate quote. Click here to email site plans to us! NOTE: Snow Stop is only meant to limit the avalanche effect caused by snow and ice slides. This product is intended to provide a controlled snow melt only.